4.9 km from Norman Y. Mineta San Jose Intl. 2.4 km from Norman Y. Mineta San Jose Intl. 6.5 km from Norman Y. Mineta San Jose Intl. 1.3 km from Norman Y. Mineta San Jose Intl. 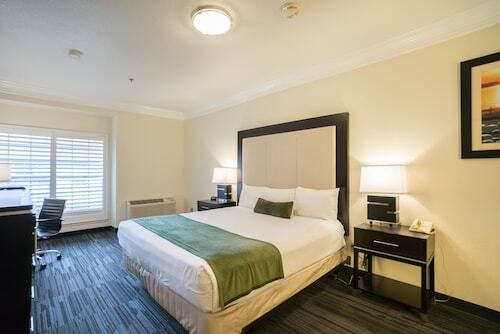 Located near the airport, this family-friendly hotel is within 6 mi (10 km) of SAP Center at San Jose, San Jose Convention Center, and Santana Row. Levi's Stadium is 5.3 mi (8.5 km) away. Mineta Airport Station is only a 4-minute walk and Karina Court Station is 9 minutes. 2.6 km from Norman Y. Mineta San Jose Intl. 2.3 km from Norman Y. Mineta San Jose Intl. 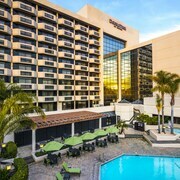 The Four Points by Sheraton San Jose Airport hotel is only a few minutes from the San Jose International Airport and a short drive from downtown San Jose, CA. 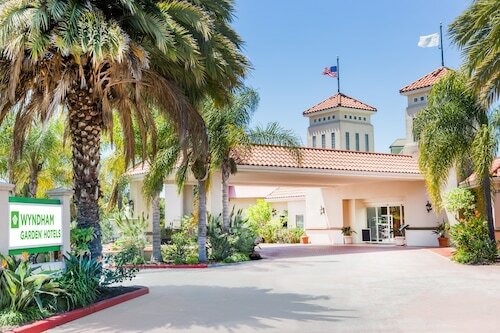 Situated near the airport, this hotel is within 3 mi (5 km) of Avaya Stadium, San Jose Municipal Golf, and San Pedro Square. St. Joseph Cathedral Basilica and San Jose Museum of Art are also within 3 mi (5 km). Mineta Airport Station is 7 minutes by foot and Karina Court Station is 16 minutes. Feel that vacation excitement grow as Fog City and Norman Y. Mineta San Jose International Airport (SJC) loom in the distance through your window. Welcome to San Francisco! 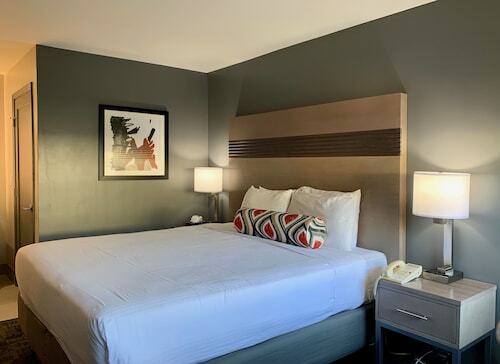 If the thought of sleeping on the floor at the airport doesn't thrill you, reserve a comfortable bed at the DoubleTree by Hilton San Jose. 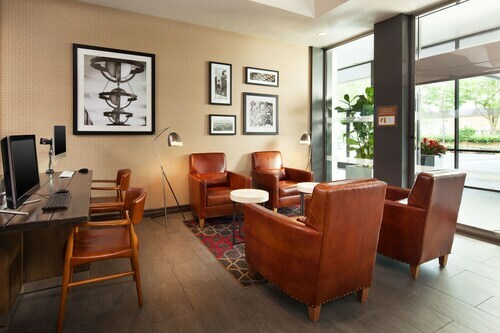 As there are no hotels on the terminal's doorstep, this close-by establishment is the best option, and they provide complimentary airport shuttle service. 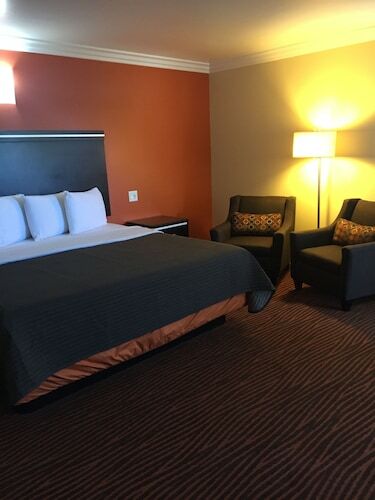 The most appealing airport accommodation can often be found a bit farther away from the terminal. Historic Murphy Avenue, 6 miles (10 kilometers) away, is a fantastic area to spend a few nights. 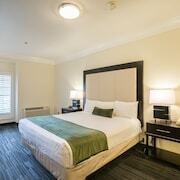 The Staybridge Suites Sunnyvale and the Corporate Inn - Sunnyvale are among the 26 options which await you here. 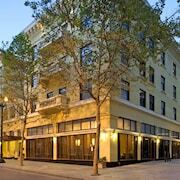 If you'd like more options, Downtown San Jose features 17 properties. 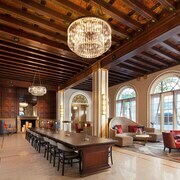 It boasts the Hotel De Anza and the Fairmont San Jose and is 3 miles (5 kilometers) away. There's a number of ways to travel into the city if you're interested in having a look. One of the most straightforward is to jump on the train at Santa Clara Station, just 1 mile (2 kilometers) from the airport. Even though you may be just in transit at the airport, consider visiting Great Mall of the Bay Area if you can manage it. It's located just 4 miles (6 kilometers) away. Now you know where you are going and what you'd like to see and do, be sure to reserve your hotel as soon as your dates are confirmed. No one answered the phone to help me schedule a wake up call but other than that everything was great! More Ways To Wander Norman Y. Mineta San Jose Intl.